A faster way to conduct screening, a better way to collect data. 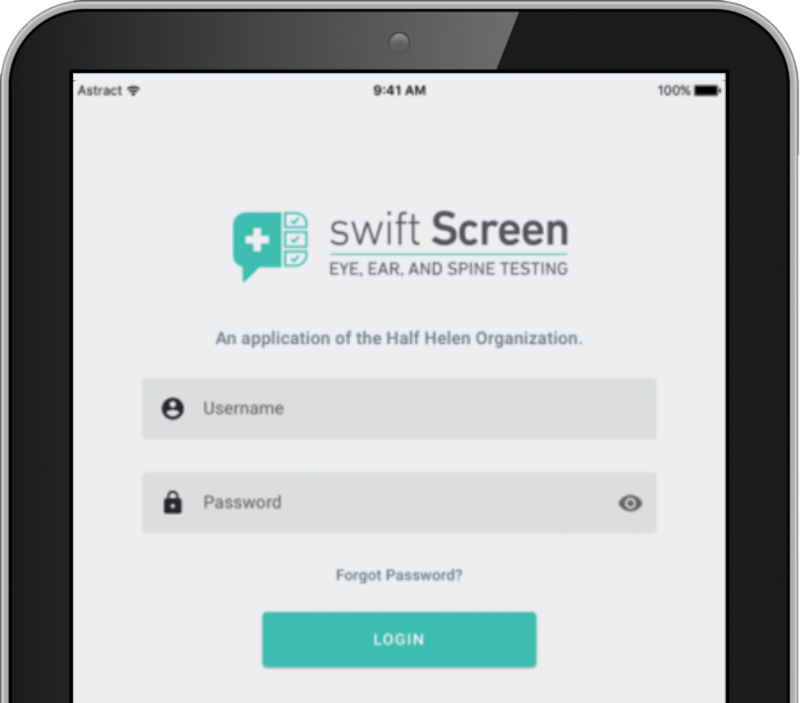 After two years of vision and hearing screenings in central Texas schools, half Helen Foundation (hH) started developing a mobile app that would enable screeners to input screening results at the point of screening. 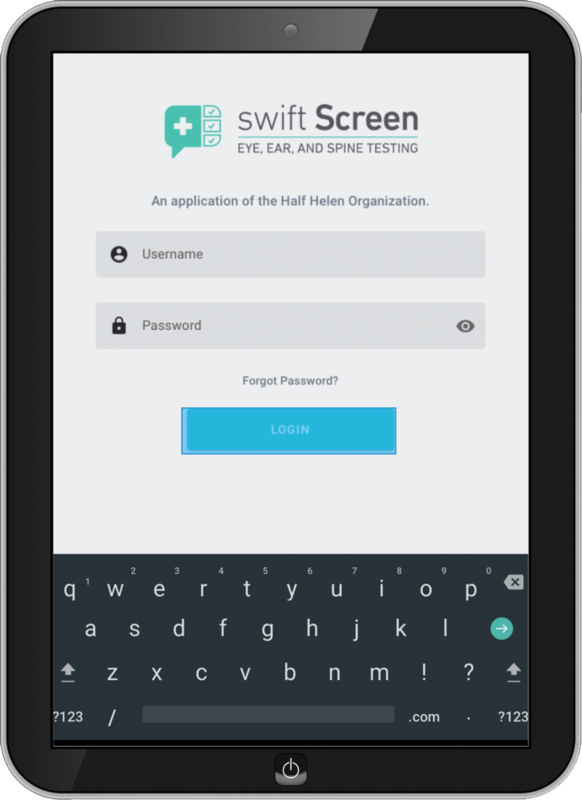 First hand experience working and screening in schools helped hH design a mobile app and data dashboard that cuts the screening process time in half, giving nurses more valuable time back. 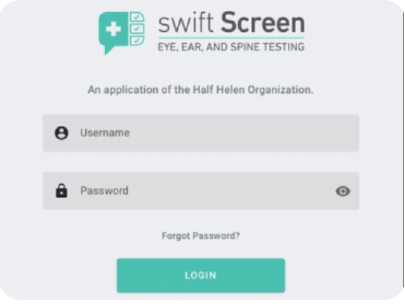 Available on iPad and Android, screeners simply download the app from the Apple or Google Play store and input their unique username and password. 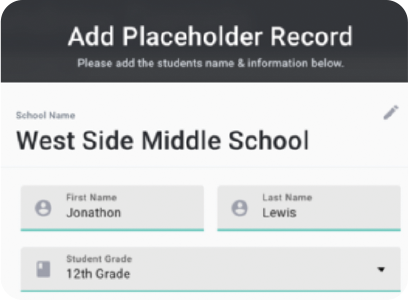 Once logged into the app, the school-based administrator can upload a list of students to be screened to the web-based dashboard. 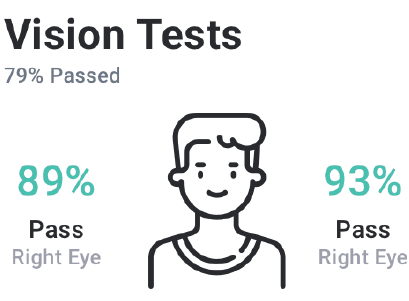 Once data is entered, screeners can view results and email (and print) referral letters through the web-based dashboard. 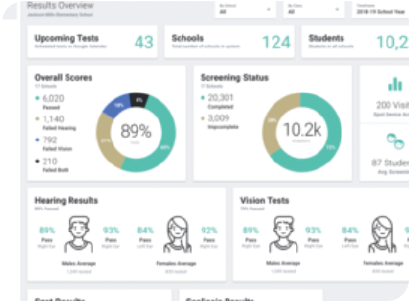 After screenings are complete, the school-based administrator can export a master list of all screening results and import the data into their student information system (SIS). Create password protected accounts for screeners and track individual productivity. New student? Not a problem. 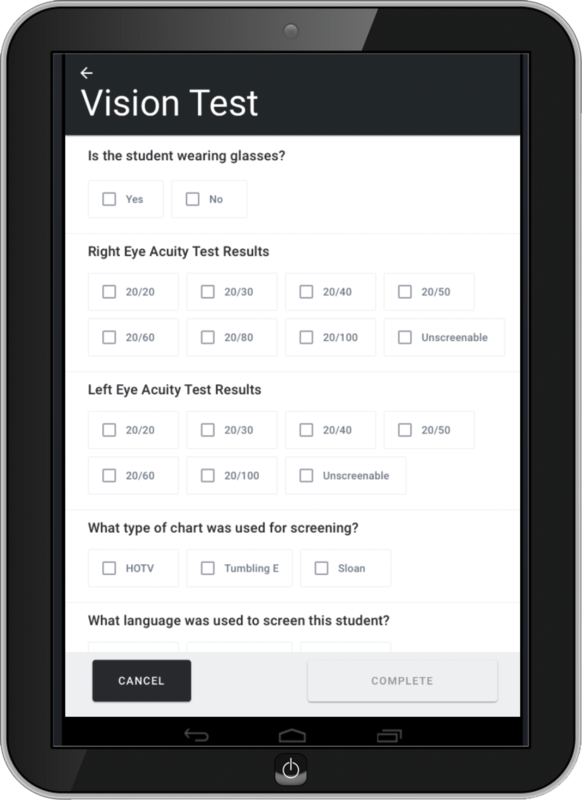 Screeners can add students on location through the app. Manage data all in one place and eliminate the need to upload information from multiple sources. Search for students and create comprehensive reports for parents and health care professionals. Grade level results. 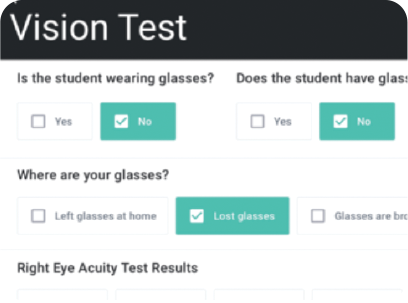 Quickly identify students that may need help with follow up care. 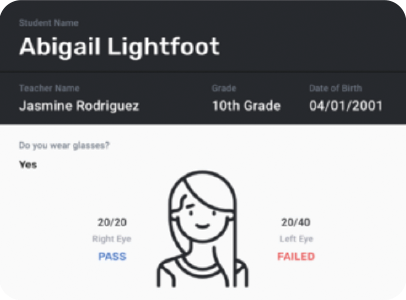 View school reports and send results to parents directly though the app. Contact us to receive more information about pricing and licensing.